Here is the solution, how to create a desktop background image collection for Windows 8.1 and also for Windows 10, and 7! 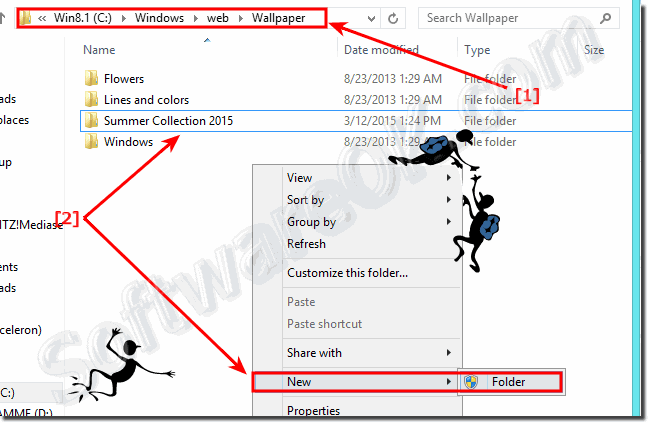 And now, create a New Folder via mouse right click, rename the New-Folder, for Example Summer Collection 2015 . Info: you need admin privileges in Windows 8.1 to run this operation! Please copy now your favorite images to the example Folder Summer Collection 2015 . ... use own image as desktop background in Win 8.1 and eight (change, insert)! ... the real Desktop folder path in Windows 8.1/8! ... enable Quick Launch in Windows 8 desktop task-bar, how to? (Image-1) Desktop background image collection for Windows! (Image-2) Create own windows wallpaper desktop background collection! 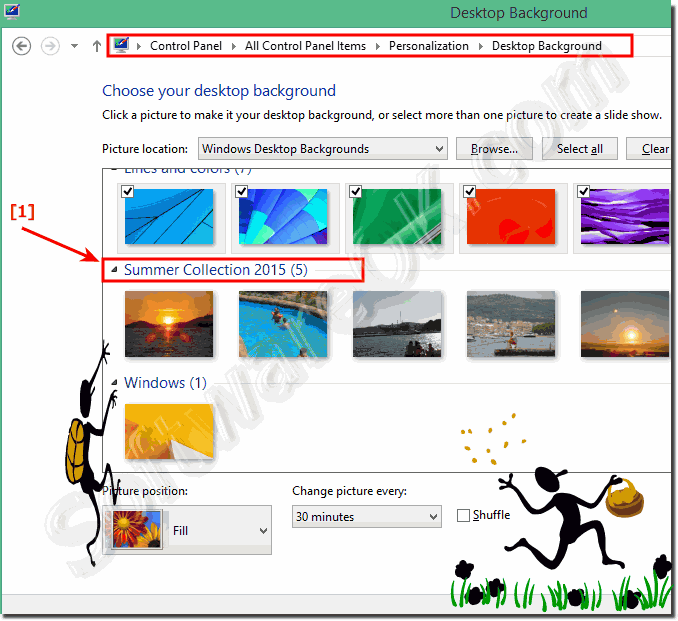 Windows-8 - FAQ-231: How to create a desktop background image collection for Windows 8.1?